Is tragedy passed down through generations? 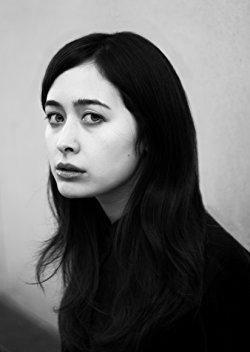 Twenty-six-year-old Rowan Hisayo Buchanan’s dazzlingly written first novel has blazingly thoughtful and profound things to say about that, as well as about identity, abuse, and creativity, as it travels backward to unfold the dual stories of Japanese artist Yuki and her adult son, Jay, whom she abandoned when he was a baby. Yuki, at 16, lives in 1960s New York City with her parents and is desperate to be an artist and to not feel alone, ugly, and stupid. When her parents, who had suffered in the internment camps, leave to go back to Japan, Yuki, unconnected to both cultures, isn’t sure what to do and eventually moves in with her one friend, aspiring model Odile, who teaches her how to dress, drink in bars, and pick up men. Yuki, though, becomes helplessly infatuated with Odile’s mother’s lover, Lou, and when Odile leaves to model in Europe, Yuki moves in with Lou. Relieved that finally, she has a person to belong to and an identity as girlfriend, Yuki still struggles because she isn’t sure how long her relationship might last. “Love,” she says, “was a limited time offer,” and she wants to keep it as long as she can. Lou is both tender and abusive, and the only reason Yuki does not fight back is because somehow, his violence and his unsupportiveness spark her art. Fired up, she enrolls in art classes, where she meets kindly Edison, and when Lou throws her out, she and Edison marry and move to a Connecticut suburb. It’s supposed to be a dream life where Yuki can do nothing but paint and feed her ambition to be as successful as Odile now is, but no matter how tender and caring Edison is to her, she feels suffocated. She refuses to go back to school, can’t paint, and instead gets pregnant, leading her to hate her husband and blame him for her unhappy life. Acting more and more irrationally, she refuses to get medical help, and finally packs it up and abandons both husband and child, never seeing Edison again, and encountering Jay only when he tracks her down as an adult. Buchanan’s prose is visceral, startling and mind-bendingly gorgeous. “Sun buttered the sidewalk,” she writes. “Her lashes struggled like window wipers scratching ice.” The moment when Yuki experiences art at the Whitney, breaking down into shaking sobs, is moving and revelatory, and Jay’s transformation at the end is so heart-wrenching, readers will want to keep the Kleenex close. But neither Yuki nor Jay are quite up to the perfection of the prose, and in fact, are somewhat unlikable, which would be fine if we could understand why. Jay is more than a little creepy. He loves his wife, but mostly because she looks almost exactly like him. When she changes, blooming with pregnancy, he resists both her and the baby, informing his wife that he’ll look at his child, “when she was a person.” We don’t feel or understand Jay’s pain because we haven’t felt that pain along with him. We haven’t really experienced how his coming of age without Yuki stunted his emotional growth or how he manages to have a marriage at all. Yuki’s chapters are more electrically alive than Jay’s, perhaps because her problems are more fraught with drama — will she end up living on the street when Lou throws her out? How will she deal with a tormenting lover? What happens when she is secluded in suburbia and cannot paint? But while her situations are fascinating, her passivity dealing with them is frustrating. Perhaps that’s the reason for the cover art, with Yuki’s face unsettlingly obscured, and for the title, “Harmless Like You,’’ something Lou says to her because he believes she poses no threat to anyone — yet she manages to devastate both Jay, her husband, Edison, and herself. Still, this is definitely worth reading for the beauty and originality of the prose, for the questions Buchanan raises about art and heritage, and for the characters who are sometimes as maddening as they can be magnificent. A better question, both for the characters and for a novel, might be: Can we escape our pasts without being passive?